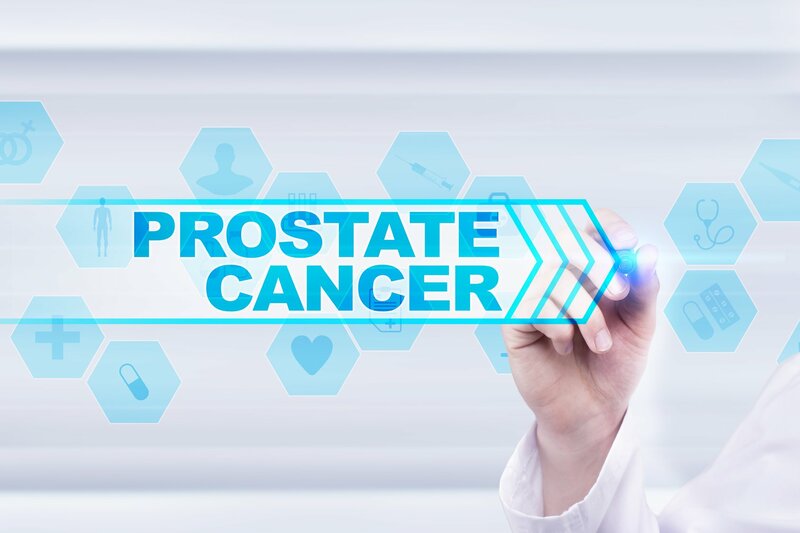 Treatment of prostate cancer becomes increasingly complex and particularly difficult to assess, monitor and manage, once the disease begins to metastasize. This is particularly true when it metastasizes to bone tissue. Advances in imaging techniques to better distinguish tumor from other bone lesions have had some impact in determining the extent of the disease, and therefore help decide appropriate treatment options. 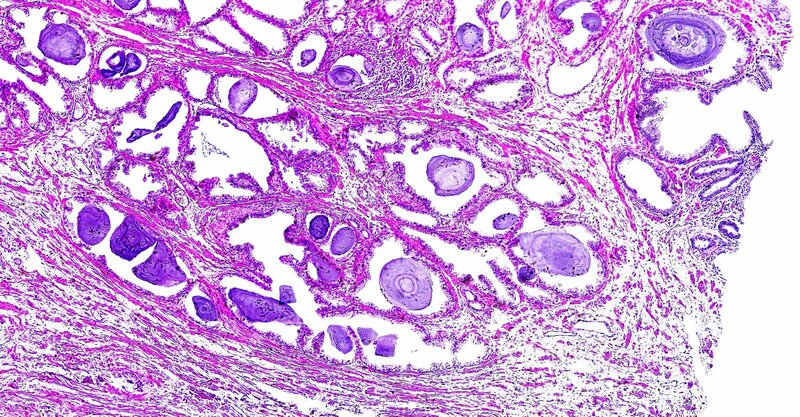 Better understanding of the development of bone metastases has also helped identify therapeutic options to slow, or even prevent, the development of bone metastatic prostate cancer. In most cases, early diagnosis and treatment of bone loss and bone metastases with bisphosphonates (e.g. Zometa®; Novartis) zoledronic acid) is critical for the prevention and management of metastatic prostate cancer. However, to successfully preserve skeletal health a multidisciplinary team approach is imperative. It is estimated that more than two thirds of patients are expected to have pain related to bone metastases at some point during treatment. According to a WHO report published in 1990, the goal for physicians is patients’ ‘freedom from cancer pain’. In palliative care, the goal is ‘achievement of the best health related Quality of Life (hrQoL).’ Today, these goals have not changed much. Palliative focal radiotherapy may be quite effective, particularly in patients with limited bone disease and focal pain attributed to a single metastasis or a cluster of metastases. 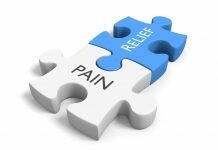 And again, to effectively manage cancer pain, a coordinated interaction between radiation oncologists, an important contributor to pain management, and other physicians specializing in prostate cancer treatment, is crucial. While the medical oncologist often believes that surgeons view chemotherapy as a last resort and surgeons are not always quite sure what the medical oncologist does, a team approach may help all medical professionals involved to understand what ‘the other team members’ are doing. It is this understanding and trust, combined with the willingness to share crucial information that will ultimately lead to clinically meaningful benefits for patients. Getting all disciplines involved in aggressively treating prostate cancers while maintaining the highest quality of life for patients can be daunting. When asked our opinion during a recent European Expert Board Meeting in Nice, France, most physicians agreed that a multidisciplinary team approach everybody aspires is indeed ‘very nice’. Most of the attendees also agreed that it makes a lot of sense. However, in order to ‘make this happen’, it’s crucial that solid foundations are laid for a dynamic relationship between all medical professionals. This requires a lot of effort. In some cases education and further training may be required to optimize the relationship between those involved in the management and treatment of prostate cancer. ³ In more established practices this often means leaving bias and ‘predatory’ attitudes behind. Unfortunately, for some of physicians this may, indeed, be very difficult. It’s troubling to realize that many urologists still think that they are ‘losing’ patients by collaborating with medical oncologists. The opposite is true. By collaborating in multidisciplinary teams urologists, often the physician with the longest history with the patient after having treated them through earlier stages of the disease, gains access to physicians who are experienced in administering systemic therapy and can thereby improve the overall treatment results with their complementary skills. 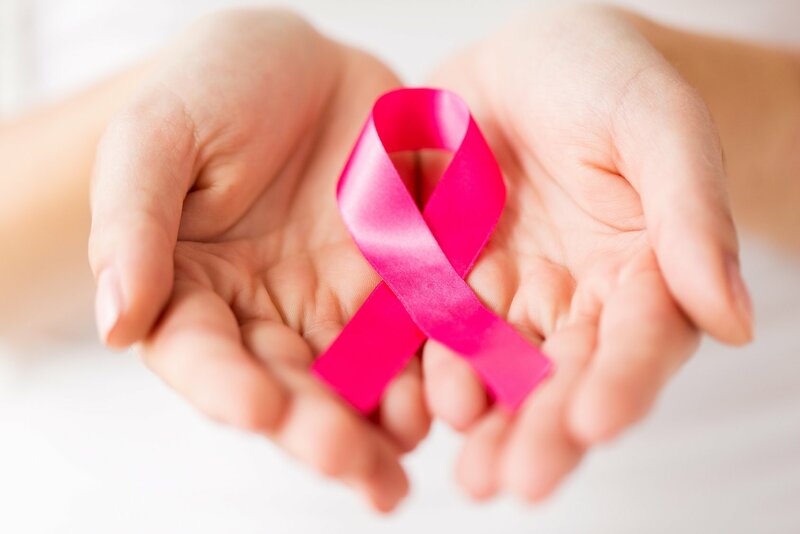 ³ On the other hand, because of the primary role a medical oncologist plays in treatment, it is important that they develop a specialized understanding of prostate cancers, including the management options of early stage disease. Often being the physician with the most interaction with the patient during systemic therapy, it’s also critical that they are able to recognize and identify urological and other disease-related problems as they occur. How such cases will be treated largely depends on the overall prognosis and the need for treatment. Again, this requires a balanced decision made by all members of the team. Multidisciplinary collaboration between treating physicians and supporting and ancillary services may lead to a comprehensive strategy addressing all the individual needs of patients. Such interaction may also be crucial in directing patients to a better understanding of treatment and management options of their disease. For some this may lead to the desire to prolong survival, for others this may simply mean palliation of pain and urinary compromise. The optimal setting of an integrated multidisciplinary team approach for the treatment of prostate cancer can be seen in a common clinic with physicians of differing background, specialties and expertise addressing the needs of patients as they come about. How such interaction can be realised often depends on the institutional set-up, resources, schedules, specific (national) regulations and the availability of ancillary services. Unfortunately, offering integrating multidisciplinary services in a common clinic may not always be a feasible. In these cases, providing each individual patient with the best care possible requires sharing critical information, without delay, between all members of a multidisciplinary team. Although this may, at times, require extraordinary effort, the results will be in the patients’ best interest. An interesting example of an excellent approach to integrated communication can be found in Uppsala (Sweden). Although government sponsored, multidisciplinary teams in the Ludwig Institute for Cancer Research conduct weekly conferences discussing patients’ cases. At these conferences, new patients are presented as well as established patients and patients entering the system for second-line treatment. Based on a simple progress report, a discussion of disease-related progression, the patient’s condition, response to therapy and the need for supportive and ancillary service, ensues. Following discussion, all team members are involved in deciding the appropriate treatment in the week ahead. At the Memorial Sloan Kettering Cancer Center in New York, New York, physicians are routinely gathering for a weekly afternoon discussing patient cases from the previous week. This generally takes the form of a formal presentation with all specialists involved. Cases not worth discussing are only briefly addressed. While this approach works well, it is, at the same token, difficult to manage. The bottom line is that patients can benefit from multidisciplinary teams because this approach may reduce bias in treatment planning. However, they only benefit from a multidisciplinary approach if it’s actually designed to improve their condition. Therefore, clinically meaningful treatment decisions can only be made when teams consider all the treatment options and patients’ needs, balancing them against one another. While such an evaluation may be particularly important in selecting patients for clinical trials, it’s only natural that, with the availability of a multitude of novel treatment options, such considerations are also implemented in standard treatment offered by a focused and well-oiled multidisciplinary team. Prostate cancer patients require the expertise of all disciplines. In the end, this means that more work needs to be done by all of ‘team members’ if they really want to provide truly meaningful care. Although difficult to manage at times, a team approach to enhance patient care may often just take one or two dedicated professionals willing to ‘step out of the box’ and root out long lasting ‘prejudice’. Such an approach is indeed in the patient’s best interest. And that makes good sense! Note: This editorial consideration is in part based on the results of the 4th European Taxotere Prostate Cancer Expert Board meeting, Nice, France, November 30 – December 1, 2006. All rights reserved. Republication or redistribution of Sunvalley Communication content, including by framing or similar means, is expressly prohibited without the prior written consent of Sunvalley Communication. Sunvalley Communication shall not be liable for any errors or delays in the content, or for any actions taken in reliance thereon. Onco’Zine and Oncozine are registered trademarks and trademarks of Sunvalley Communication around the world.